Chinese media recently reported about a new high-tech laser assault rifle that can allegedly fire an energy beam that cannot not be seen by the naked eye, but can cause “instant carbonization” of human tissue from up to half a mile away. 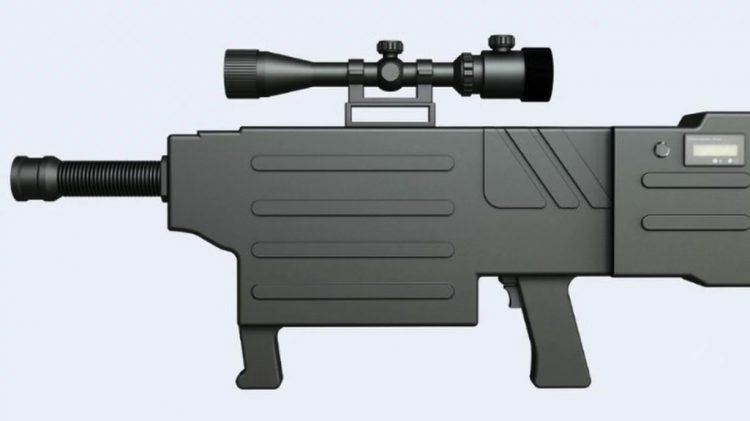 Called ZKZM-500, the laser rifle was developed by scientists at the Xian Institute of Optics and Precision Mechanics at the Chinese Academy of Sciences in Shaanxi province, and is apparently ready for mass production, with the first units scheduled to be given to anti-terrorism squads in the Chinese Armed Police. It has been described as a non-lethal weapon that can be used in various situations, like hostage situations, where police would fire it through windows at targets and temporarily disable them while other teams moved in to free the hostages. It definitely wouldn’t be the first time that a sci-fi technology became reality, but in this particular case, many believe that laser rifles are still impossible in real life. Ren Keyu, an elementary school student from Leshan, in China’s Sichuan province, is only 11-years-old but already measures 2.06 meters and thinks he may just be the tallest 6th grader on the planet. The average 11-year-old Chinese boy measures 1.453 meters, according to data released last year, but Ren Keyu was that height when he finished kindergarten. At 2.06 meters tall, he just towers over his classmates and requires a special chair just to be able to sit at his desk comfortably. Teachers mistake Ren for a much older student and ask him to return to his own classroom, the first time they see him, some students make fun of him for his unusual height and people often stare at him in the streets, but the 11-year-old hopes that his stature will be an advantage for once, as he tries to get his name into the Guinness Book of Records. 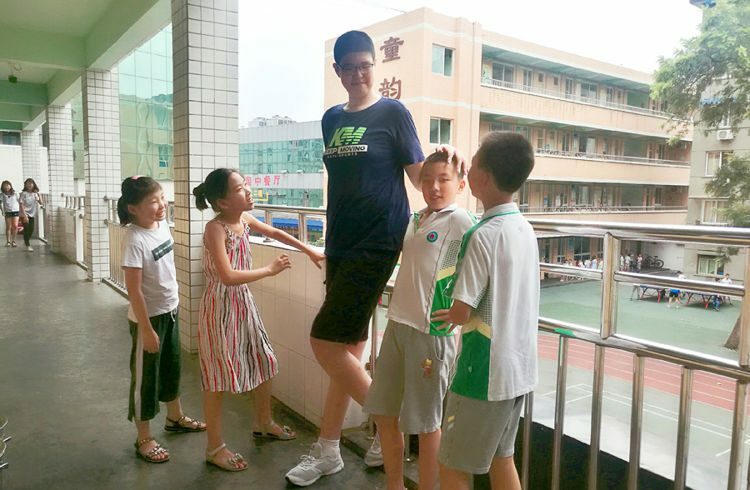 He wants to apply for the record of world’s tallest 6th-grader. 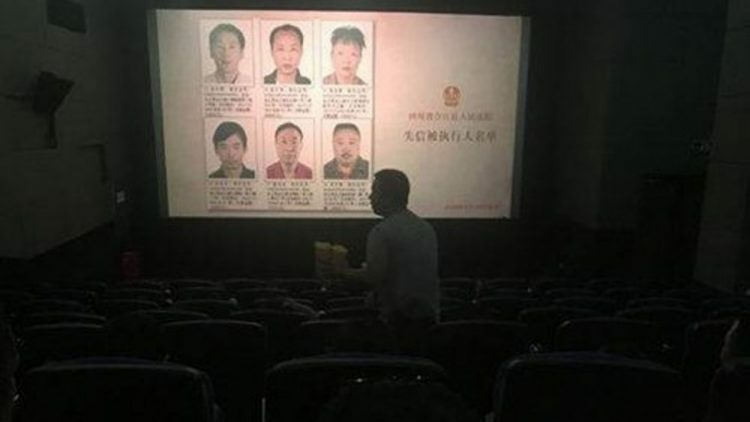 A Chinese man recently made national news headlines for his years-long struggle to find a suitable wife. He claims to have asked around 80,000 women if they wanted to date him over the last eight years, but got rejected no less than 80,000 times. Ouch! 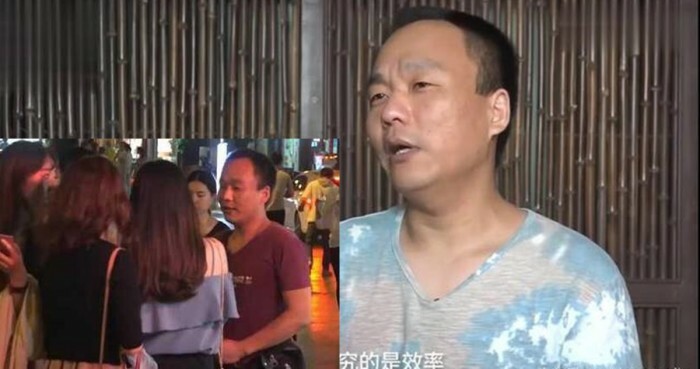 31-year-old Niu Xiangfeng has been described as a “dating madman” for his aggressive approach to finding a life-partner. He first made the news in 2013, when photos of him walking through the streets of Beijing while holding a sign that advertised his desire to find a wife along with his links to his social media profiles went viral online. His father died of cancer a couple of years prior and he felt like he needed to get married and start a family. Things didn’t turn out the way he had hoped, and five years on, he is still looking for Mrs. Right. 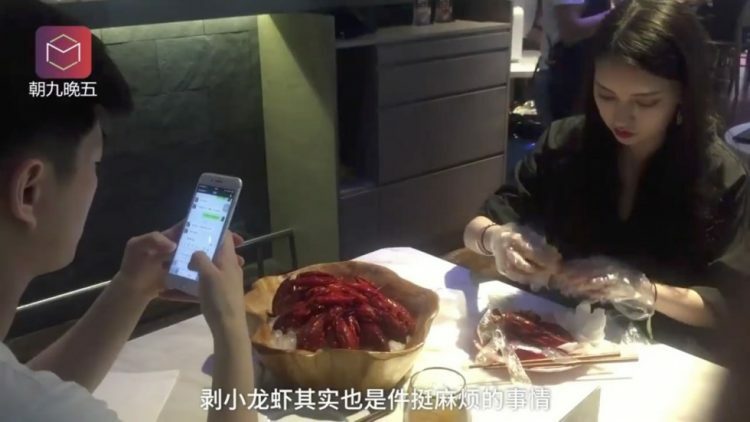 A restaurant in Shanghai, China, recently made headlines for employing two young crayfish peelers who do the dirty work right at the customers’ tables, while they check social media or play mobile video games. 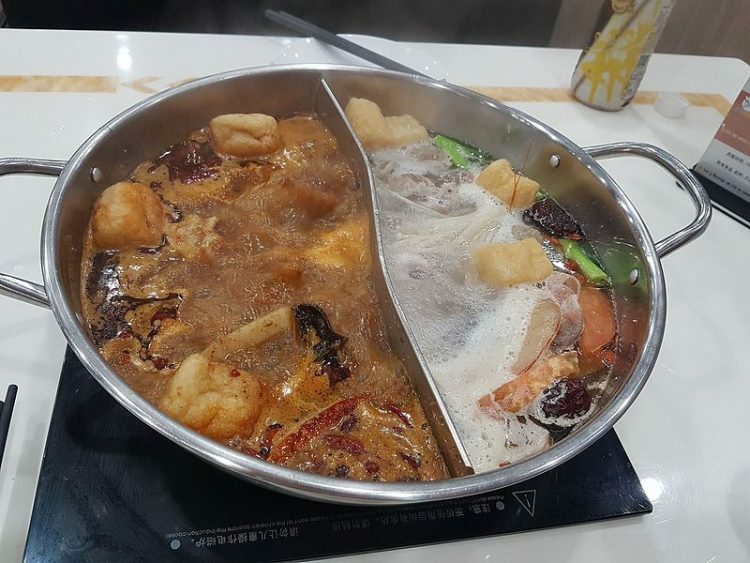 Wouldn’t it be nice if someone could handle those nasty crayfish shells and then just hand you the succulent flesh?Well, at one particular restaurant in Shanghai’s Huangpu district, you can actually request a crayfish peeler that will be glad to take care of the dirty work while you watch or chat with your friends or play on your smartphone. Crayfish are really popular in China these days, so the two young peelers usually handle around 100 crustaceans every day, which earns them a nice monthly salary of over 10,000 yuan ($1,500). It’s not every day that you see octopuses, starfish and prawns literally raining down from the sky, but that’s exactly what happened Wednesday in the Chinese coastal city of Qingdao, after strong winds sucked the marine creatures from the sea. On Wednesday, the seaside city of Qingdao, in China’s Shandong province, was hit by a severe storm that brought down trees and large sign posts, flooded the streets and brought traffic to a stand-still. 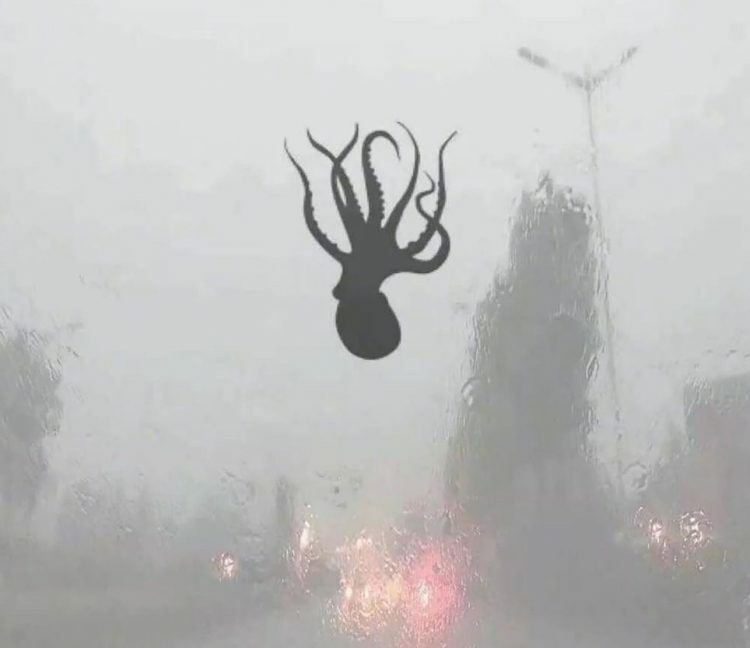 But there was a particular phenomenon that captured the attention of motorists in the city during Wednesday’s storm – various sea creatures started falling from the sky. People turn to plastic surgery to copy the look of their idols all the time, but few of them, if any, manage to successfully turn themselves into lookalikes. 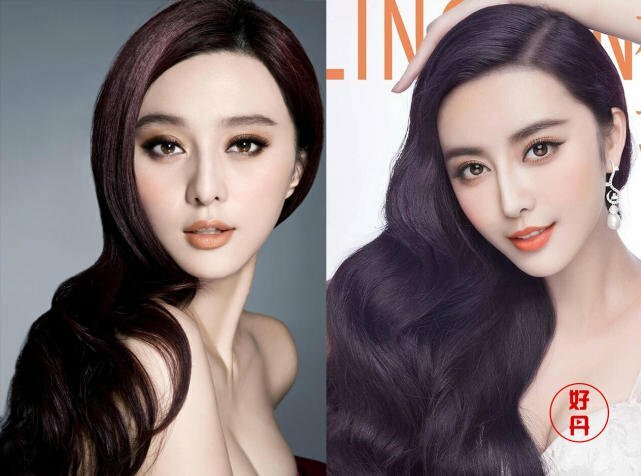 One such case is that of He Chengxi, a young Chinese woman whose efforts to copy the look of famous actress Fan Bingbing have been so successful that she now gets confused with her all the time. Despite currently being under investigation for tax evasion, Fan Bingbing remains one of China’s most popular celebrities. She is a successful actress, film producer, singer and a fashion icon, among others. Her attractive looks have captured the imagination of millions of people in China and abroad, so it’s no surprise that many women want to be just like her. 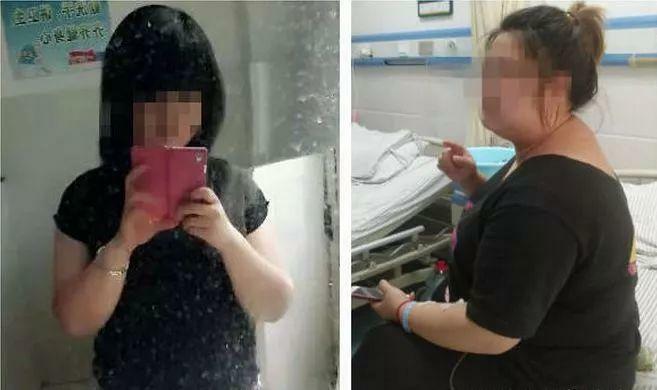 Many have tried, but the only known successful attempt is that of He Chengxi, a 23-year-old social media star who reportedly spent tense of thousands of dollars on cosmetic surgery, over a period of 8 years, to make herself look just like her idol. 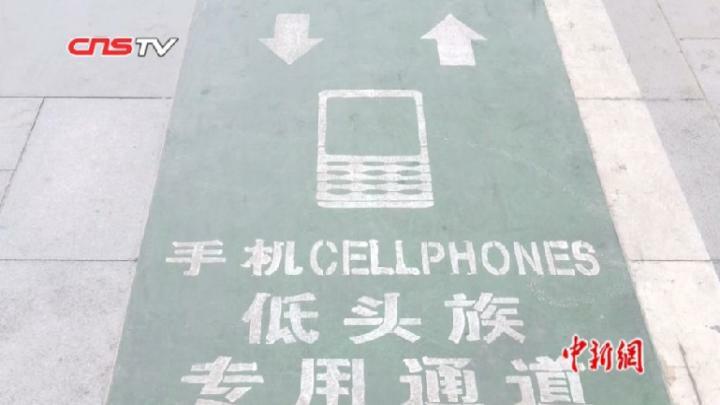 Authorities in the Chinese city of Xi’an recently inaugurated a special sidewalk lane designed for “phubbers” – people who walk while staring at their smartphones and ignore everything around them. Painted red, green and blue and featuring pictures of smartphones, the special lane is located on the busy Yanta Roan, in Xi’an, and is 80cm wide and 100m long. 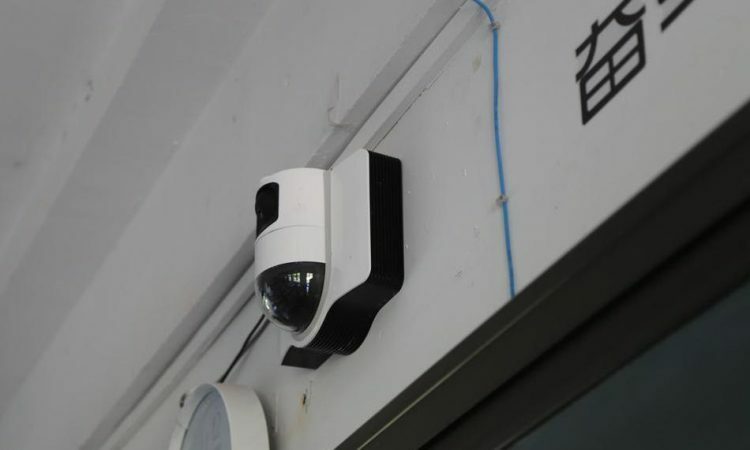 Chinese media reports that a large shopping mall overlooking the smartphone-user lane had been asking authorities for it over a month, which suggests that it’s just a marketing scheme. However, it turns out that the special sidewalk lane is actually a safety precaution for “phubbers”. Cars often come onto the pavement in front of the mall, sometimes barely missing pedestrians who have their eyebvalls virtually glued to their smartphones, so the lane is supposed to keep them out of harm’s way. Looking at Xiao Cui for the first time, you could swear he is at least 80 years old, but in fact he is only an 18-year-old high-school student suffering from a very rare health condition that has caused his facial muscles and skin to droop, making him look a lifetime older than he really is. 18-year-old Xiao Cui is a senior at a top high-school in Harbin, China, but you couldn’t tell just by looking at him. He looks more like a pensioner than a young man in the prime of his life, but it’s all due to a mysterious condition that has been causing his facial muscles and skin to sag. 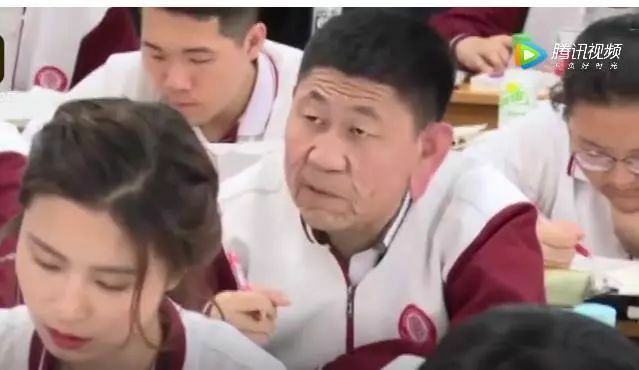 In a Pear video that went viral in China at the end of last month, Cui says that he noticed the first symptoms during middle school, and that his face has been getting saggier ever since, to the point where he now looks many decades older than his classmates. Doctors have yet to understand his condition, let alone find a way to stop it or undo its effects, so Xiao has no option but to accept it and stay positive. 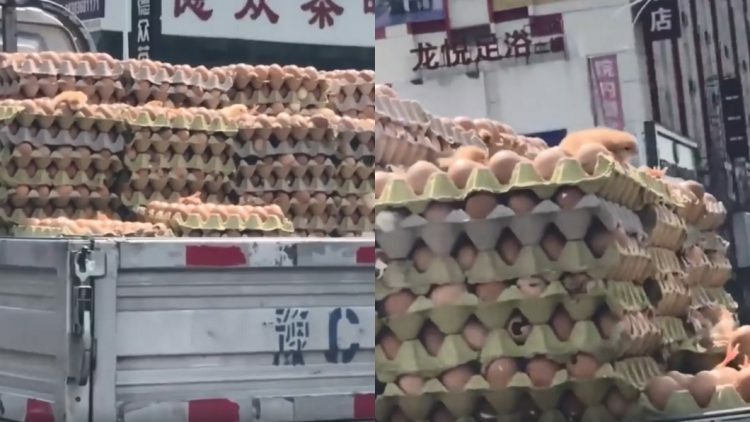 A video doing the rounds on Chinese social media these days shows chicks hatching in the back of a truck stacked with egg cartons as it’s driving around on what must have been a very hot day. Ever hear the phrase “it’s so hot outside, you could hatch a chicken egg”? Me neither, but it’s apparently a thing that can happen, at least judging by this viral video from China. It shows a truck carrying dozens of egg cartons, and chicks literally hatching from the eggs as it’s driving along. It’s only a few seconds long, but you can clearly see at least five hatched chicks, as well as some tiny feet breaking through the egg shells and some empty shells. 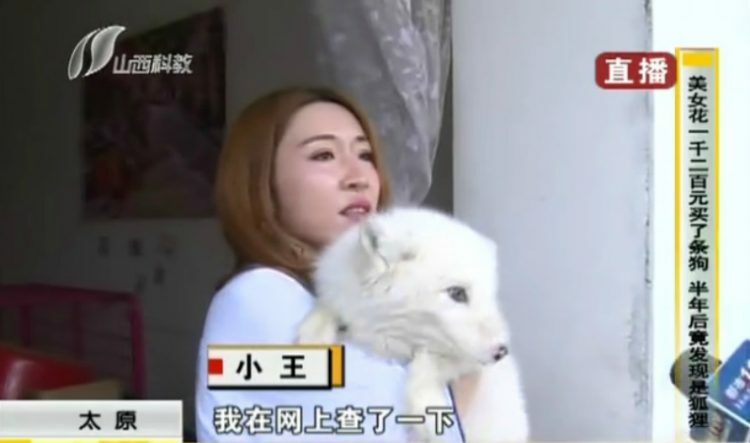 A Chinese woman recently made international headlines after discovering that the white ball of fur she bought a year ago wasn’t really a puppy, but a white fox cub. Last year, the woman, surnamed Wang, bought what she thought was a Japanese Spitz puppy from a pet shop in Jinzhong, China’s Shanxi province. She started realizing that something wasn’t quite right about her cute pet after about three months, when it stopped eating dog food and started to grow an unusually long, fluffy tail. She didn’t pay too much attention to these details, and just continued feeding it chicken and fruit, which it seemed to like. But then things started getting weirder.